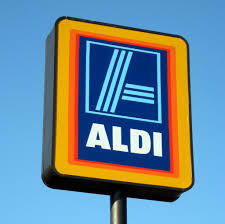 Who doesn't love Aldi these days????? Saving money AND getting tasty food?? Count me in!!!! I heard about Aldi years ago when we still lived in Augusta. There wasn't one there yet (is now!!! ), so I had no idea what I was reading about when everyone was so excited about all the money they were saving at Aldi. I read about the prices being seriously lower, I read about needing a quarter for the grocery cart (we call them "buggies" around here!!! ), and I read about there being no bags to put your groceries in. Hmmmm. No bags for your groceries. How in the world do you do that???? 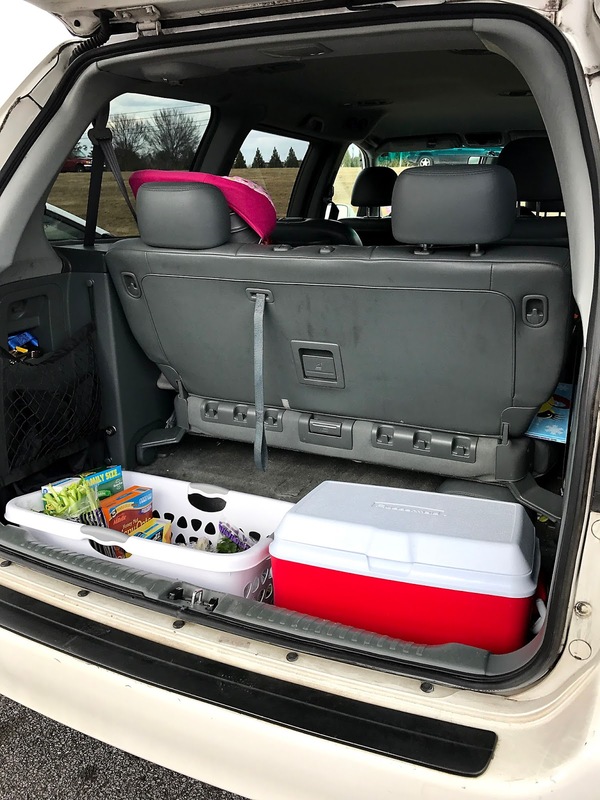 After a few weeks of seeing others check out, pull over the "the counter area" in Aldi, and fill the bags they brought from home with their just purchased goods, I decided there HAD to be a better way. And I found one!!! Now maybe I'm not the first one to discover this, but I don't know anyone else who has done it except me (and the few struggling mothers I shared it with in the check out line). Y'all ready? I keep an empty laundry basket and empty cooler in the back of my van so that as soon as I leave Aldi, I put all my food in one of the two large containers!!! YES!! So when I get home, I carry in only two containers. I don't spend extra time bagging groceries and I don't have to carry in all the bags and then keep them for the following week. I just carry in the two totes, put all the groceries away, and stick them back in the van for next time. WOOHOOO!!! Super easy and major time saver for me!! Anyone else LOVE Aldi? If so, how do YOU get your groceries home??? Absolutely love Aldi! I live in a small town and we have a wal mart and and a few small grocery stores that don't compare to Aldi. My must haves are their goat cheese, berries, and eggs. You can't beat those prices and quality! I have my few sturdy bags that I reuse but a laundry basket is definitely a good idea! I love Aldi...they have awesome gluten free products! TOTALLY and COMPLETELY agree about loving Aldi!!!! And I had NO idea how many items they have were gluten free until a friend with Celiacs told me about it!!! Such a blessing to so many who cannot tolerate gluten!! This is a great idea. I haven't shopped at an Aldi, but will soon be moving to a city with one. So you are saying that you just put the unbagged, checked-out items back in the cart after they're scanned and then leave the store with them in the cart? I am just making sure so I don't mess this up, lol :) Thanks!! We don't have an Aldi, but every time I read a post like yours, it makes me wish I could shop there! 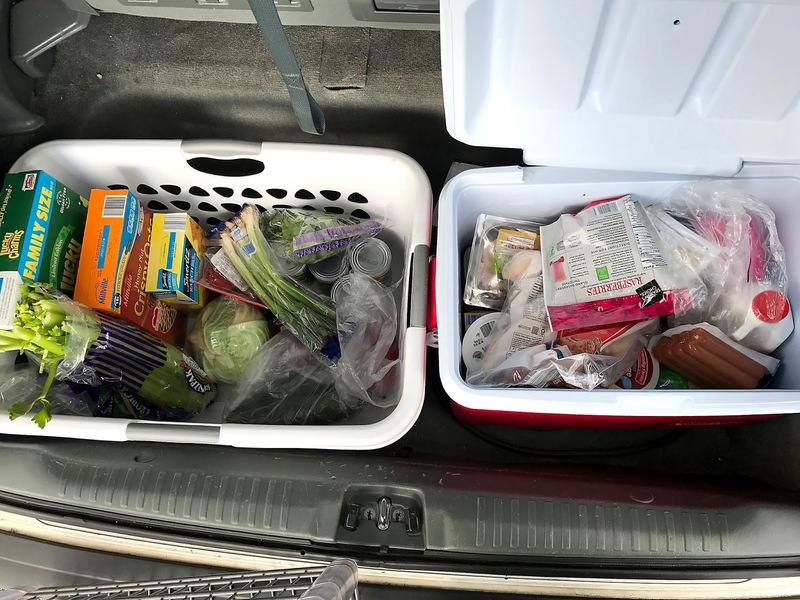 I keep stackable square crates in the back of my vehicle for grocery trips, similar to how you do it with laundry baskets. Laundry basket! What a great idea! I love Aldi. Great prices! Ha, what a great idea with the laundry basket and the cooler! I am going to give it a try :) I grew up with Aldi (it's from Germany and I'm German) - when we first got one in our little town I always always remember how much it smelled like home. (funny I know). I love them. Yes, just like you said. When the person checks you out, they automatically load them in an empty cart. Then I pay and push it out to my van and unload (or load up my laundry basket and cooler). And don't forget to take a quarter with you!! You need a quarter to unlock the cart. As soon as your done and you return your cart, you hook it back to the other carts and get a quarter back. Yes! Stackable crates are the same idea!!! ANYTHING to organize unloading groceries, right?? Wish you had an Aldi near you. GREAT prices!! Where you do live? Must be an adventure getting groceries with a taxi!!!! 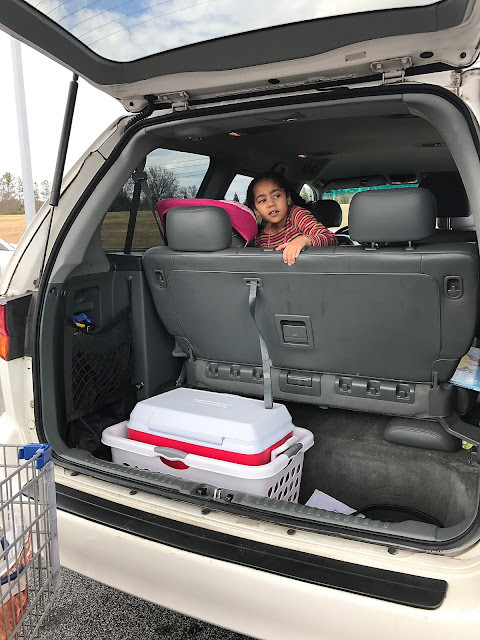 When we first moved back here and Aldi was near us, they hardly had any baby items. Well, they had diapers (which I bought because they were the same ones as Babies R Us but HALF THE PRICE!!!). Anyway, I TOTALLY LOVE all the baby items they're carrying now!! It's so great!! AGREED!! Major high fives all around for ALDI!!!!! Awwww Bibi B!!!!! I SO know what you mean about a place smelling like home!!! What a neat thing!!!! Jaki, I'm with ya!! Aldi is #1 for me, too!!! Oh yes, Lexie!!!! Like the empty boxes that their products come in!!!!! That's a good idea!! !